The AACM retrospective week continues today with our highly subjective, entirely personal, and completely non-representative list of albums plucked from our own collections to represent what the recordings of the AACM and it's musicians have meant to us as enthusiasts of the music. Today, the years between 1975 and 1984. 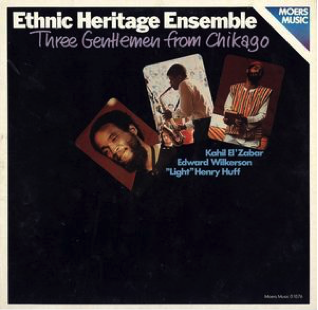 This trio set new standards in musicianship and integration. 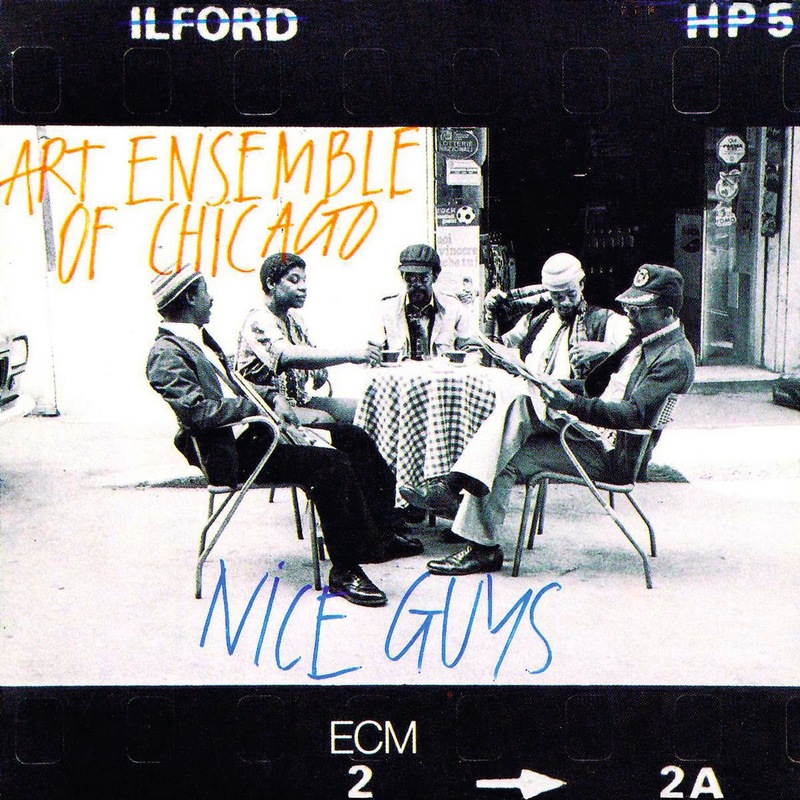 Henry Threadgill (reeds, flute), Fred Hopkins (bass) and Steve McCall (drums) came together in New York – to where many AACM musicians had moved by the mid-70s – to perform ragtime music in a play but this, their first album, was recorded in their native Chicago. 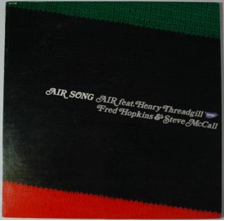 “I got into writing for people rather than just writing music,” said Threadgill, “it kills accompaniment and puts everything on an equal footing”. This can be heard throughout the album: Threadgill skilfully unpacks the themes, moving seamlessly from refined to acerbic. Hopkins, as adept at playing arco as pizzicato, weaves his sonorous bass lines through the trio, and McCall’s drums provide a counterpoint equal to the other instruments. 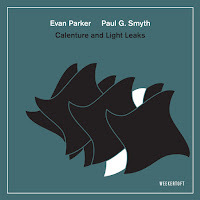 This is genuine chamber music – there aren’t so much solos as passages where the others stop playing – but it’s not through-composed; there’s plenty of room for improvisation, of which all three were masters, shifting in and out of time at will. 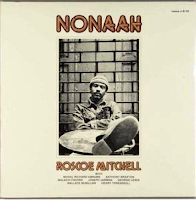 Dance of the Beast is free jazz at its tumultuous best – it could have been recorded last week, not forty years ago. Air went on to record a number of other albums and stretched out more – particularly live – as they pushed this kind of playing even further. Another favourite is Open Air Suit (Arista Novus, 1978), the first I heard, picked up in the second hand section of a record store. Those were the days. 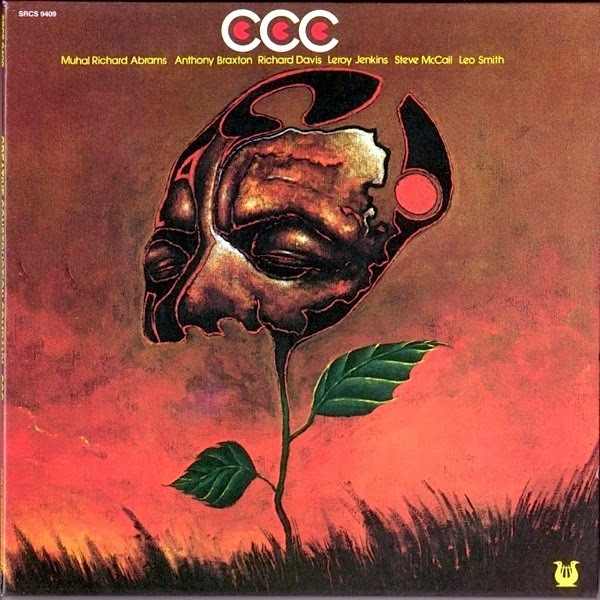 If there is one true AACM band, it's the Creative Construction Company, which consists of all its most prominent members,: Anthony Braxton on alto saxophone, soprano saxophone, clarinet, flute, contrabass clarinet and chimes, Leroy Jenkins on violin, viola, recorder, toy xylophone, harmonica and bicycle horn, Leo Smith on trumpet, flugelhorn, French horn, seal horn and percussion, Muhal Richard Abrams on piano, cello and clarinet, Richard Davis on bass, and Steve McCall on drums and percussion. Even if the records are from 1975, the recording is five years older, and it is a landmark recording for the kind of music that would find more traction later, a music which favored group improvisation as an ensemble, developing a common sound and sonic flow instead of successive solos by the various band members. 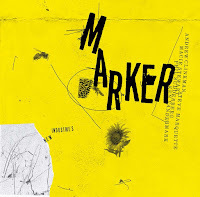 There is no rhythm, no themes, no imposed structure, no compositional elements, just six instruments and more co-creating a mindblowing musical spectacular, of the kind that few would have heard before. And it works, it even works beautifully, because these artists have played and rehearsed together often, but also because they have the fantastic discipline to listen and move as one, without putting their own instrument in the forefront. This is not a free-for-all blowfest, but a major musical achievement. I prefer the first volume, but both are really good. As a listener, you just have to go with the flow and listen to the myriad of things happening in this often dense forward moving stream of sonic threads, with calmer moments and avalanches, crazy outbursts and magnificent exuberance. 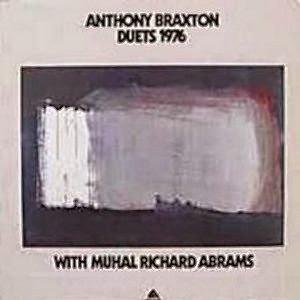 This may sound odd but I first heard Duets '76 on the radio a couple years ago. 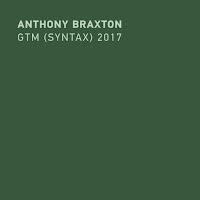 Mind you, WKCR out of NYC is not your typical radio station and it just so happened they were in the middle of a Braxton marathon. 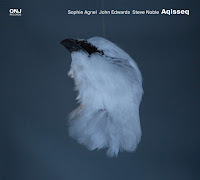 As for the song, it was 'Composition 40p' and the unbelievably fun and rich tone of the contrabass clarinet in contrast with Muhal Richard Abram's piano work captivated me. I finally found a copy of the LP and have enjoyed it throughly since. On a double vinyl album, trumpeter Lester Bowie is in a band with fellow AACM members Amina Claudine Meyers on piano, organ and vocals, Malachi Favors on bass, Phillip Wilson on drums and non-AACM Arthur Blythe on alto saxophone. 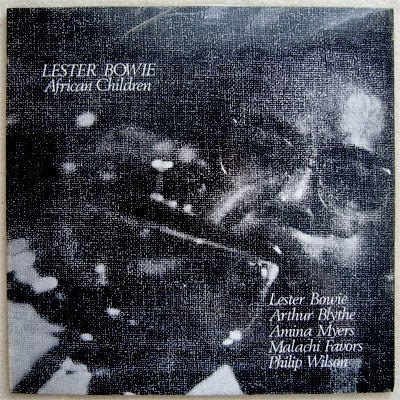 It's a typical Lester Bowie album, one that is as broad in scope as it is lacking in musical unity, yet somehow all tracks are by themselves of very high quality. The first side, "Amina", is determined by an open post-boppish expansive and flowing spiritual theme, with the piano taking a lead role, as well as Meyers' wordless singing, and Bowie and Blythe adding phrases and beautiful soloing. 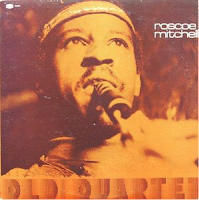 The second side starts with a ten-minute solo trumpet piece, a real in-the-moment avant-garde effort, closer to European improv than jazz, and is followed by the boppisch "Tricky Slicky", with walking bass and all, a great rhythmic foundation, even if Wilson's drums is insufficiently picked up by the mikes. 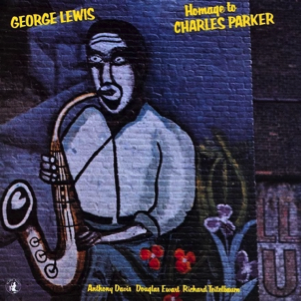 Luckily he can start with the intro on side 3, again a twenty-minute piece, called "Chili Macdonald", a joyous Afro-Carribean piece, yet full of echoing theme phrases and frenetic free soloing, that completely explodes into free jazz, ending with sad bluesy trumpet. The last side is a tribute to Fela Kuti, and digs deep in the Nigerian's soul funk approach, with Amina Claudine Meyers doing some fantastic work on the organ, and Malachi Favors doing funky bass work as we've seldom heard him, yet this would not be Bowie if the whole thing was not completely deconstructed in the meantime, with rhythms that disappear, horns that go haywire, with a bluesy theme suddenly re-emerging and back to Fela. This CD merges two previous vinyl releases. 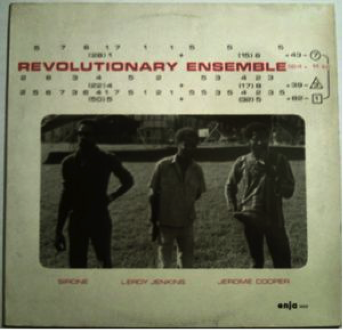 In terms of nationalities, the trio merged America, with West and East Germany, but musically – and most importantly – it was a merger of three musicians keen to extend the boundaries of free jazz, incorporating the rest of the world. 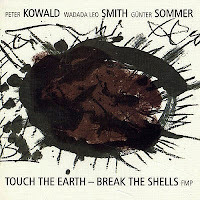 Before World Music became a distinct genre, Smith (trumpet, flugelhorn, flute, thumb piano), Kowald (double bass) and Sommer (drums, percussion) integrated rhythms, textures and tonal colouring from a variety of cultures and idioms, producing something that is nowhere in particular and everywhere in general. One of the features of their music is its highly focussed, sometimes abbreviated manner. Smith tends to favour aphoristic phrases interspersed with pauses, where silence becomes a positive. Sommer alternates between keeping time and subverting it, juggling with an array of skins, sticks and styles, but always with an ear for group sound and the bigger picture. 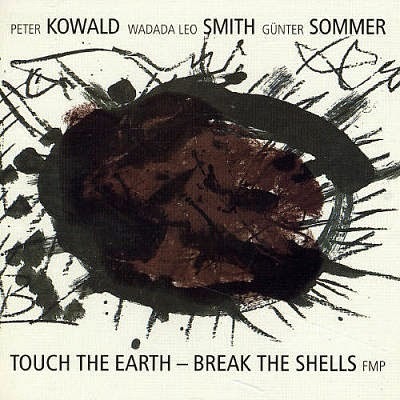 Kowald searches for sympathetic or contrasting timbres, making quicksilver changes between plucked runs, thick glissandi, bowing below the bridge, and even using his bass as a percussion instrument. It’s music in a continual state of metamorphosis. It can also evoke different moods. Radepur Im Februar, reflects the title: slightly bleak, with Smith sketching phrases in outline before his muted trumpet picks up pace. 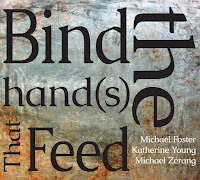 In Unlost Time Sommer’s pounding drums give the piece a ritualistic quality. This is again one of these strange multi-faceted albums, full of quirky genre shifts, alternating Afro-Carribean dance ("Ja") with absolute avant-garde adventures ("597-59") and ending with the long and majestically bluesy annex blowfest "Dreaming Of The Master", yet it is of interest because it's AEoC's first release on the prestigious German ECM label, giving them sudden visibility and audibility to much wider audiences, and the album currently has even twelve issues in various forms and formats. The band is Lester Bowie on trumpet, celeste and bass drum, Malachi Favors Maghostut on bass, percussion instruments and melodica, Joseph Jarman on saxophones, clarinets, percussion instruments and vocals, Roscoe Mitchell on saxophones, clarinets, flute and percussion instruments, and Don Moye on drums, percussion an vocal. And somebody plays their trademark bicycle horn, but that remains uncredited. Thank you so much for the series! Immensely enjoyable to read, and I love the personal touches in the reviews. 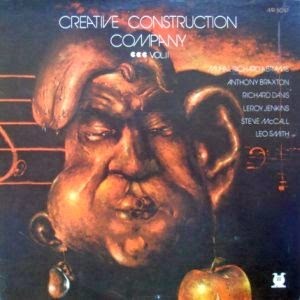 One of my favorite Braxton albums during this time is Creative Orchestra Music 1976.